My desktop computer is the central piece of my travel photography editing workflow. This is where I keep a master copy of all my photographs. The backup process is automatically triggered as soon as I add new photos to my master photo library. In my photography workflow, my laptop is an extension of my desktop computer. For each trip, I create a temporary Lightroom Catalog on my laptop and I continuously add new photos to it as my trip progresses. Once my trip is over, I merge the temporary Lightroom Catalog with my master catalog on the desktop and move the newly acquired photos along with it. For a long time, a mobile-only workflow was impossible when taking multi-day photography trips. Cameras from virtually every manufacturer were lagging in terms of connectivity and mobile integration making it painfully difficult to use them in a mobile ecosystem. 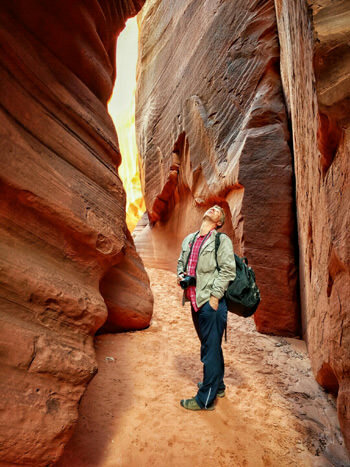 But, luckily for us travel photographers, the trend is starting to change. More often in my travels, I find myself using a purely mobile workflow. Today, I’d like to share how I use a mobile-only setup for my travels. In recent years, almost all camera manufacturers have implemented functionalities that allow photographers to transfer photos from cameras to mobile devices. The process varies from company to company but the result is the same—the photos, as soon as they are taken, are available to transfer to different mobile devices. In my case, I shoot with Sony. Virtually all Sony cameras allow you to install the Play Memories Camera Apps, which enables photo transfer using Wi-Fi. Implementing the app itself is a clunky process and takes time to set up but, once it’s configured, it works well. With my Sony setup, I have two options. 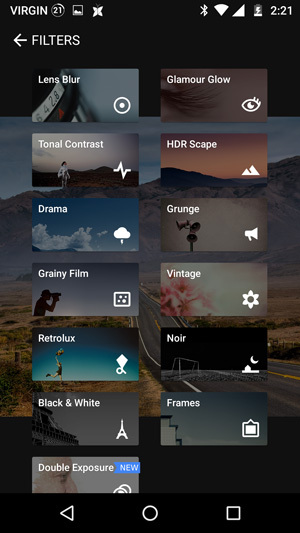 First, I can browse the photos on my camera and selectively push them to a connected device which, in my case, is an Android tablet or an Android smartphone. Or, my second option is to connect my tablet or my smartphone to my camera and navigate through the photos directly on the camera, pulling the ones I need. Since only a handful of mobile devices currently support RAW format, it’s critical that I set my camera to shoot RAW+JPEG. 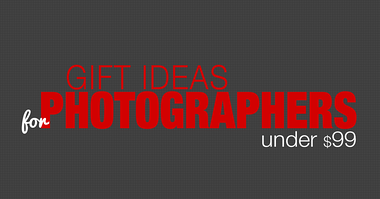 I use the RAW versions for my desktop editing and the JPEG images for my mobile workflow. Although I’ve had the ability to transfer images to my mobile devices for a couple of years now with my Sony a6000, I rarely used a mobile-only workflow. Why? The reason was because of a lack of robust backup functionality. It is not uncommon for me to generate 50GB or even 100GB in images per day during my trips, which made it impossible for me to backup this amount of data wirelessly. I always brought a laptop along for the sole purpose of backing up my photos. 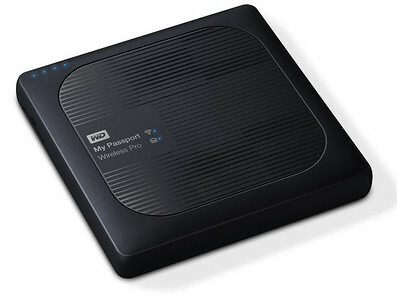 Everything changed when Western Digital released a version of an external hard drive (HD) that had a slot for an SD memory card with an automatic backup functionality—WD My Passport Wireless. With the WD My Passport Wireless, as soon I am done with the backup, I can use the WD My Cloud app to connect to the hard drive and navigate through my new photos (JPEGs only). I was once a photography apps junky. I literally had hundreds of photo editing apps on my phone. I developed a unique way of editing photos using various apps for different parts of my editing workflow. I used between five and six apps to edit one photo. Although it was fun, it was also time consuming and my editing was inconsistent. 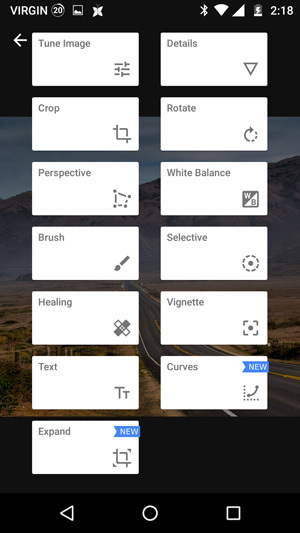 Then, Google released its Snapseed editing app. 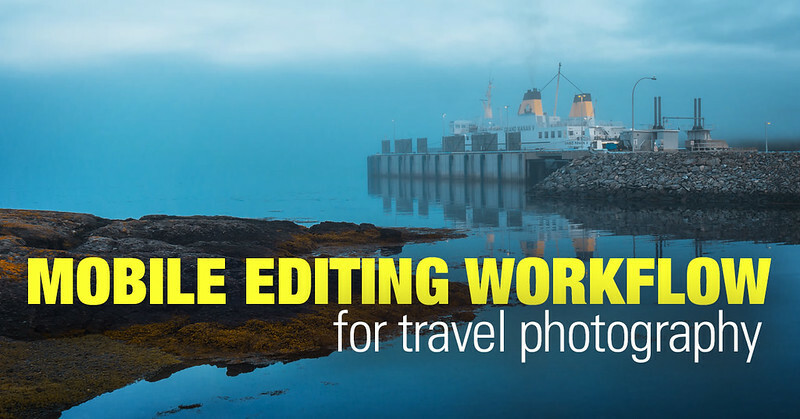 Suddenly, editing on mobile devices became incredibly similar to desktop editing workflows in Lightroom or Photoshop. It is fast, simple and produces consistent results. Did I mention that it’s free? In the latest version, Snapseed drastically improved its Highlight Recovery functionality. It’s incredible what you can now do with JPEG images! Snapseed is one of two editing apps I have on my phone. 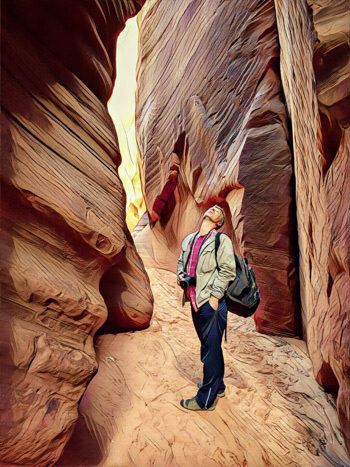 The second app is Prisma, which is a unique app that produces incredible visual effects. I use it mostly for fun and for family photos. 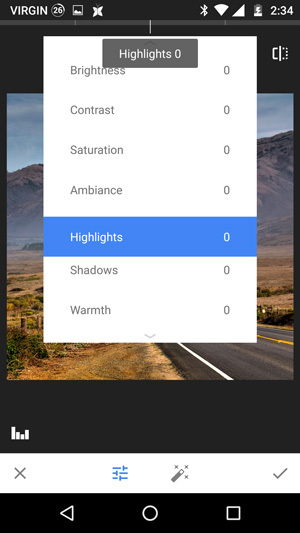 It won’t come as a surprise to anyone when I say that the PhotoPills app is the golden standard in mobile photo digital assistants and planning. 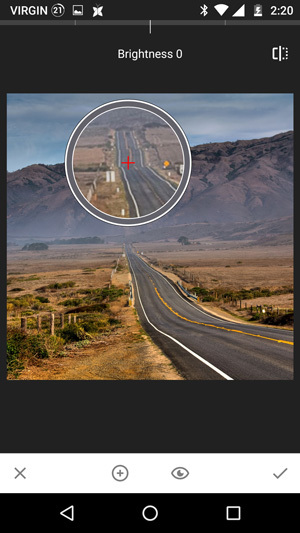 It is a mature and polished app with tons of different features that help photographers plan and manage photography trips. When I switched from an iPhone to an Android years ago, I struggled because PhotoPills did not yet offer an Android version. 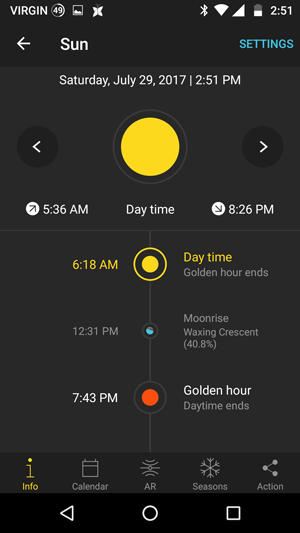 It took me some time, but I found a replacement—the Exsate Golden Hour app. 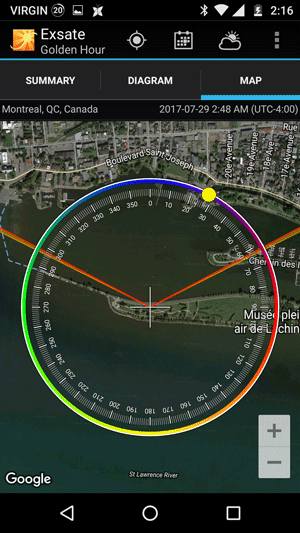 Of course, it can’t compete with PhotoPills in terms of features, but it is a very well designed app that’s useful for planning outdoor shots. 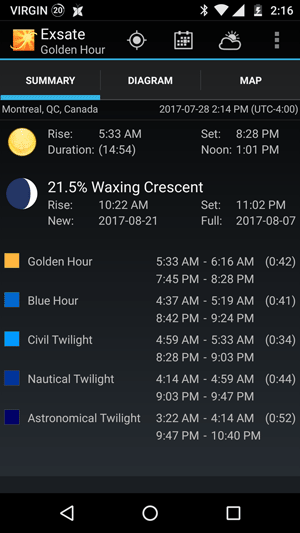 Although PhotoPills has since released an Android version of the app, I still use Exsate Golden Hour for simple planning. For more advanced features, I use PhotoPills. 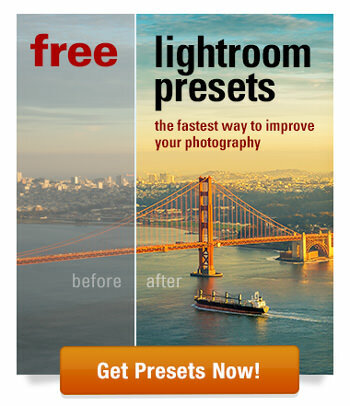 If you are willing to spend around $15 on photo planning, then PhotoPills is the only app you will ever need. 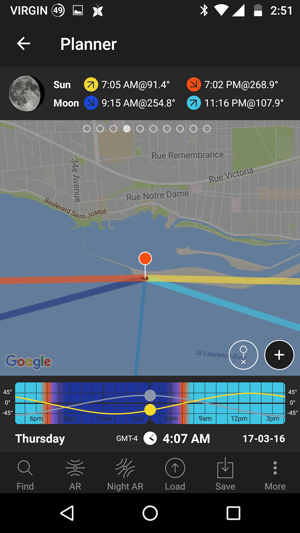 A nice and free alternative is the Exsate Golden Hour app. 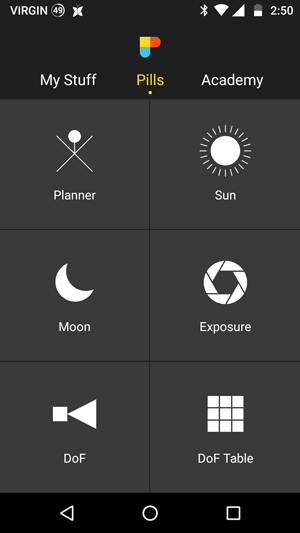 I use the PhotoPills app to plan my day. I use my Sony mirrorless camera as I normally do. I set my camera to save a RAW+JPEG version for every shot. 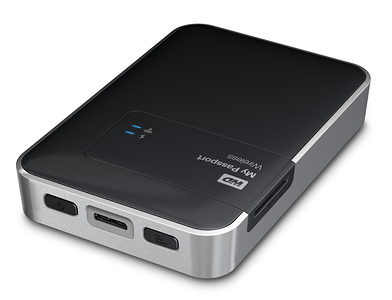 I backup all my photos during the day to one of my WD My Passport Wireless hard drives. I transfer the photos to my mobile device—a tablet or smartphone—using the My Passport Wireless hard drive or the camera itself. I use Snapseed to edit all my photos. 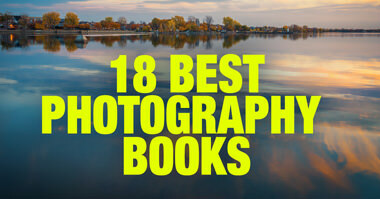 I share them directly to different publishing channels from inside the app. At the end of the day, I backup all the latest photos to my second My Passport Wireless hard drive. The latest advances in mobile and camera technologies give us unprecedented freedom to use a mobile-only workflow even when we shoot with advanced DSLR or Mirrorless cameras. Bringing a laptop along for every photography trip is now optional.